Do this! Don't do that! Let's do this! I am, I don't etc. Have you? Are you? Don't you? etc. too/either so am I / neither do I etc. Whose is this? It's mine/yours/hers etc. Give me that book! Give it to me! If we go ... If you see ... etc. If I had ... If we went ... etc. afraid of... , good at ... etc. listen to ... .look at ... etc. 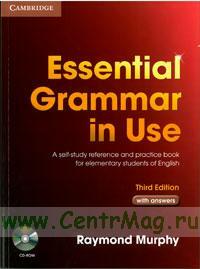 For their help in producing this third edition of Essential Grammar in Use, I would like to thank Liz Driscoll, Jessica Roberts and Alison Sharpe. I would also like to thank the teachers and reviewers from various countries who provided me with feedback on the previous edition.